The world’s first autonomous shipping company, Massterly, has appointed Tom Eystø as managing director and Per Brinchmann as chair of the Massterly board. 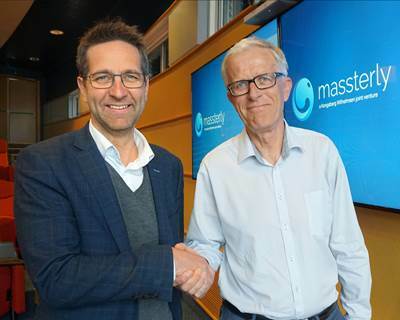 Announced on April 3, 2018 as a new joint venture company between Norwegian ship owner Wilhelmsen and systems and solutions provider KONGSBERG, Massterly sets out to offer a complete value chain for autonomous vessels, from design and development, to control systems, logistics services and vessel operations. “Autonomy will revolutionize shipping and the industry will need technical and operational support from expert organizations such as Massterly if the full economic and environmental benefits are to be realized,” said Eystø, who is transitioning to the managing director role from his place as head of Kongsberg Maritime’s autonomy program. Eystø has also held senior positions within dynamic positioning and other relevant technologies at KONGSBERG. Eystø and Brinchmann will set out to develop the Massterly organization and hire key personnel, including a business development manager, while establishing a sales and marketing function. The company will also include operational resources.